Electronic Arts on Thursday confirmed what dedicated gamers had already uncovered last week: the reveal date for the next Battlefield game. 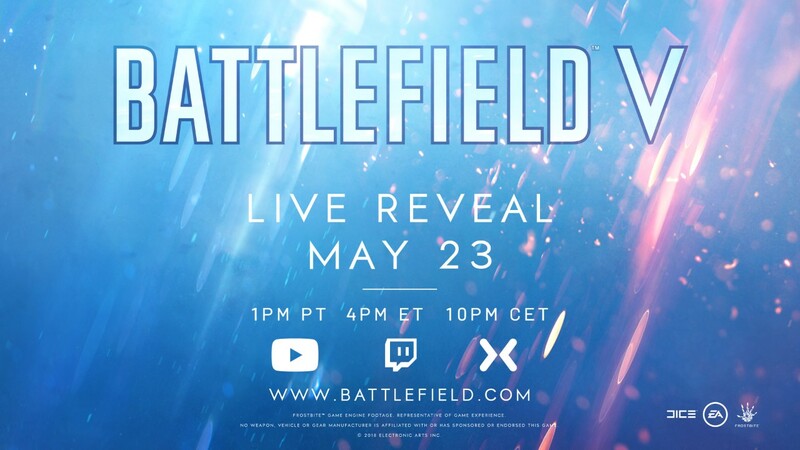 The publisher updated its official Battlefield landing page with the new information, revealing that the next game in the “all-out war saga” will indeed be called Battlefield V. The live reveal will take place on May 23 (next Wednesday) at 1 p.m. Pacific / 4 p.m. Eastern / 10 p.m. CET and will be hosted by Trevor Noah, host of Comedy Central’s The Daily Show. EA conveniently made the announcement on the same day as the live reveal for Call of Duty: Black Ops 4. Aside from a single piece of artwork, not much else is known about the game. Rumors have suggested it’ll be set during World War II although EA hasn’t confirmed that. We also don’t know what platforms it’ll be heading to or even when EA plans to launch the title (this fall seems likely but an exact date isn’t yet known). Those details and more will probably come either next week during the live reveal or in June at E3.